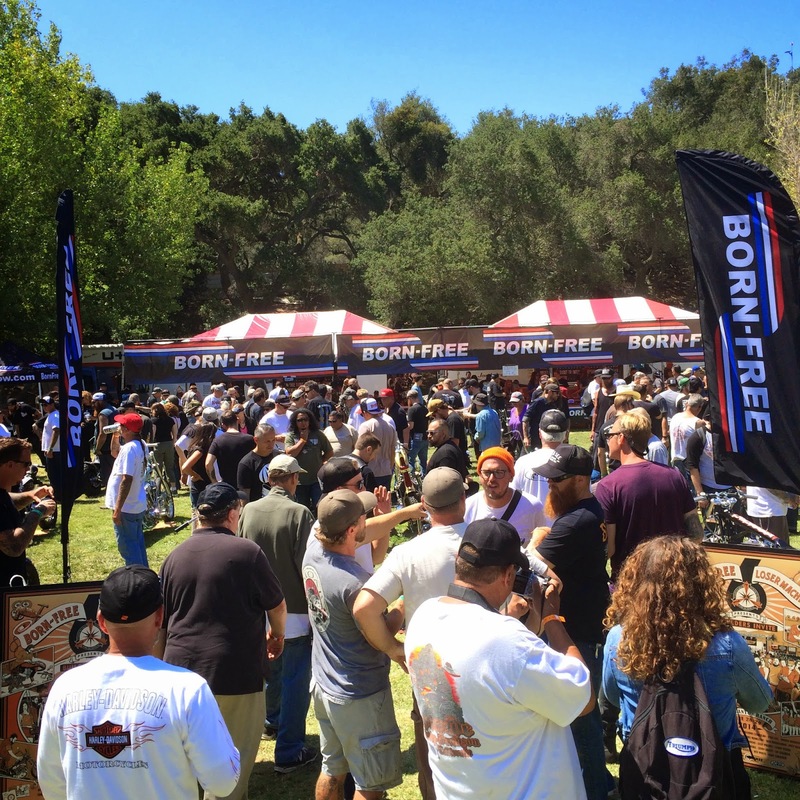 This weekend was Born Free 6 motorcycle show at Oak Canyon Ranch in Silverado, Ca. 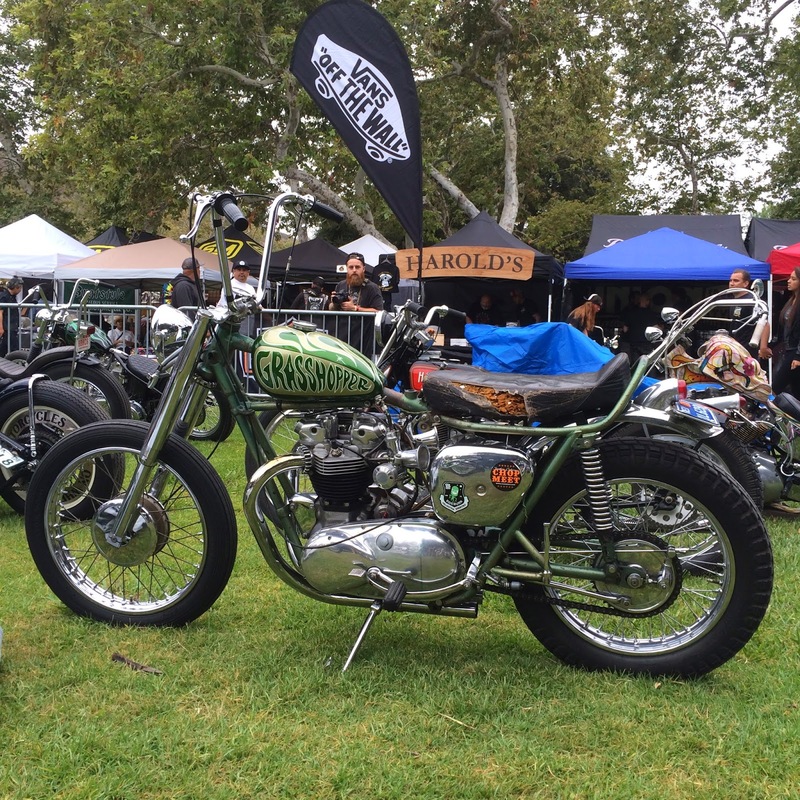 California Car Cover was a sponsor of the event and was glad to see such a large group of motorcycles and bike enthusiasts. 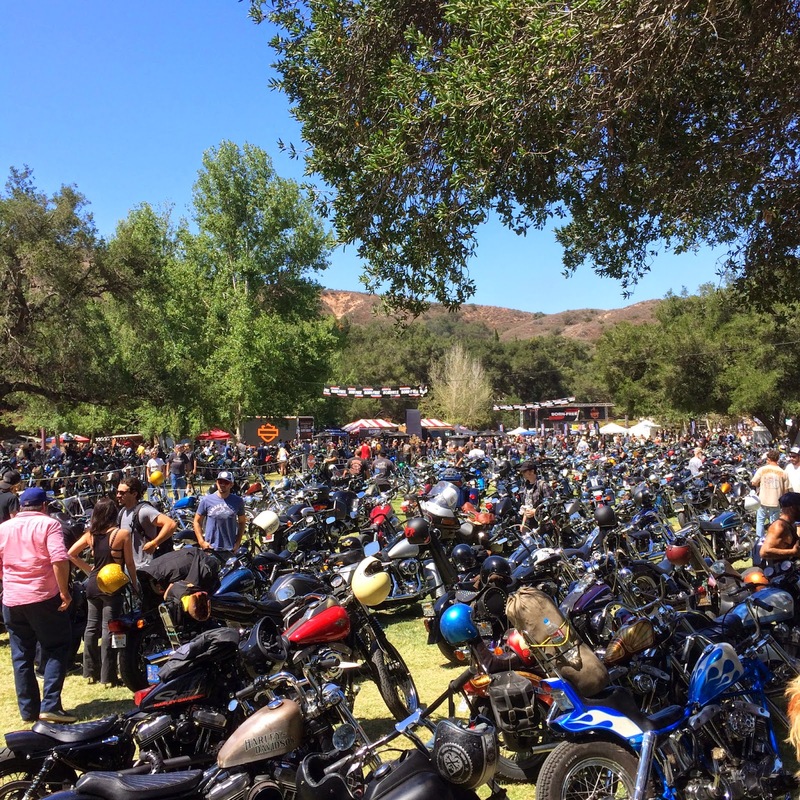 This was the first year that Born Free used a two-day format to let more people check out the event and make getting in and out of Oak Canyon much easier on everyone. 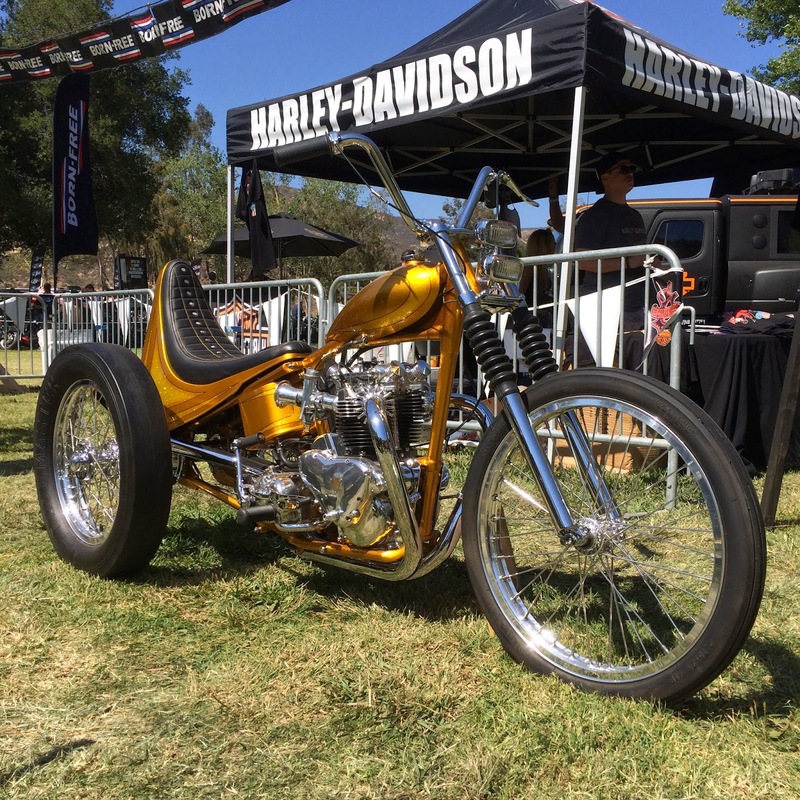 The promoters invited a number of respected bike builders from around the world to the event to showcase their craftsmanship. 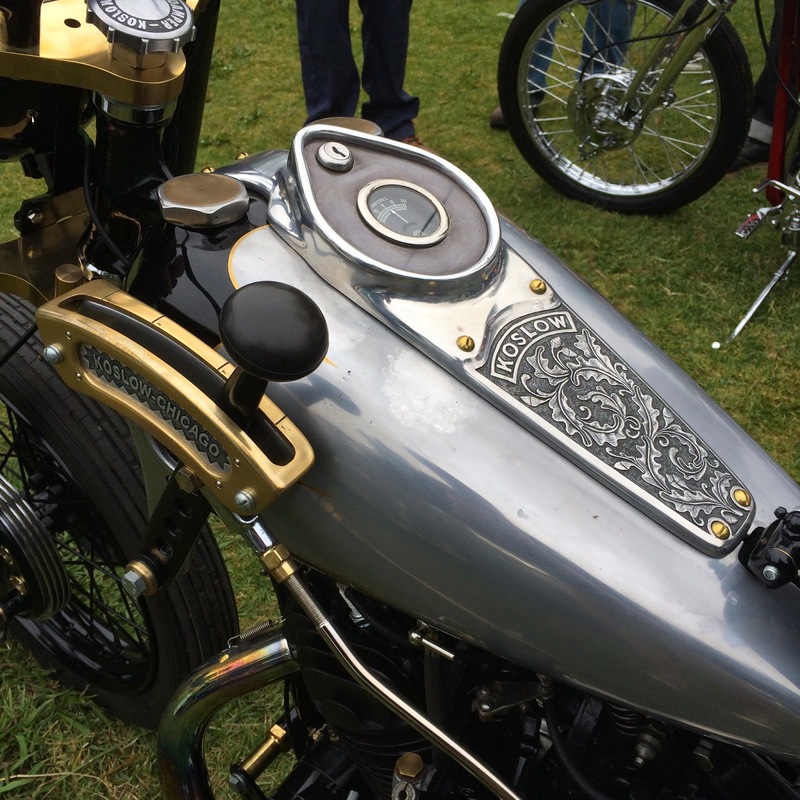 California Car Cover provided covers to keep the custom motorcycles clean overnight through the weekend. 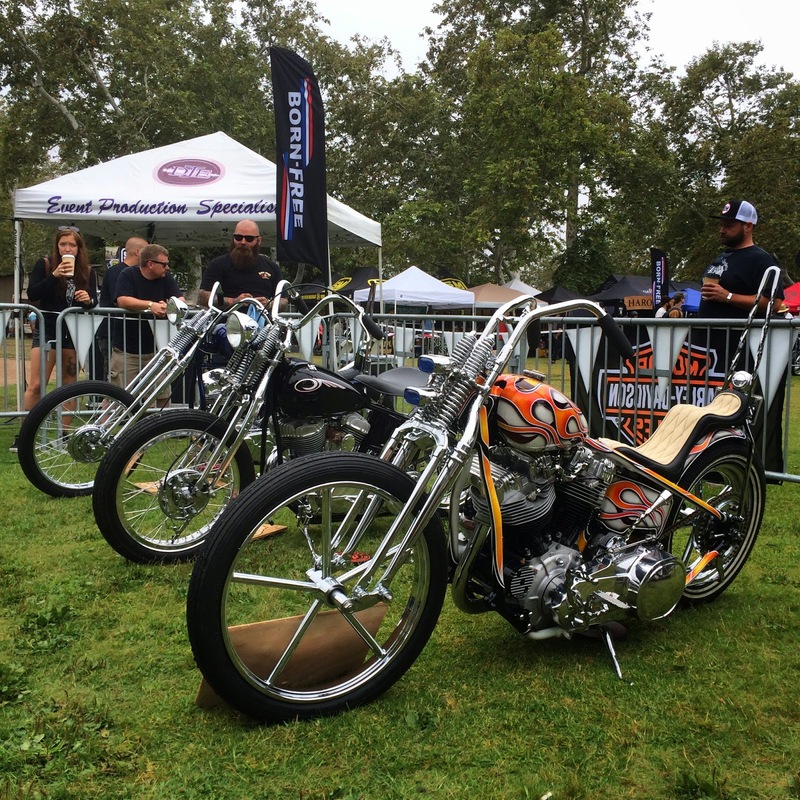 Harley-Davidson was one of the featured sponsors and had a number of new motorcycles on display. 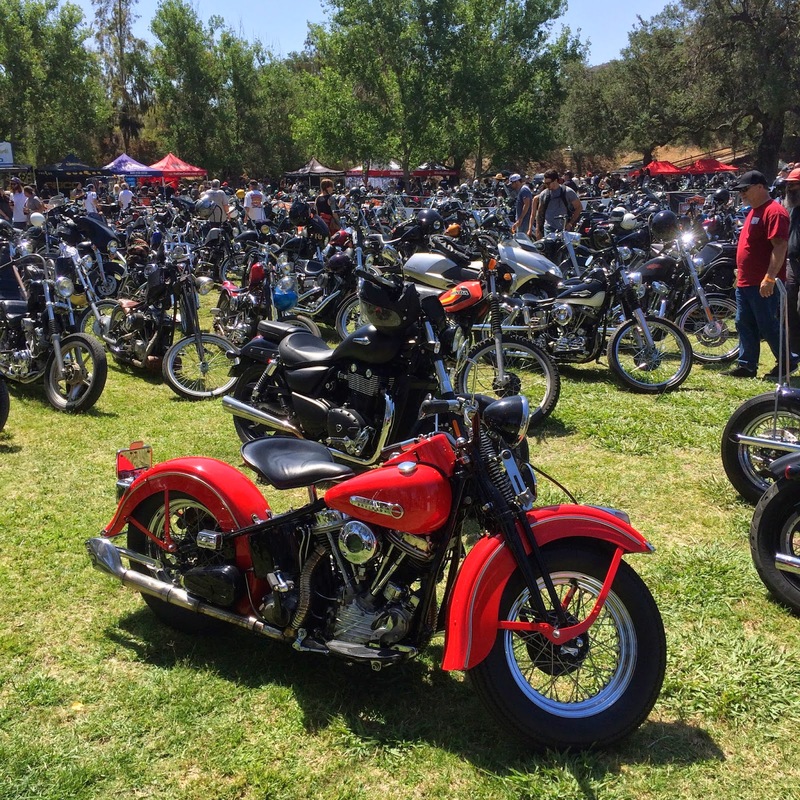 The show attracted all types of motorcycles to Oak Canyon Park. 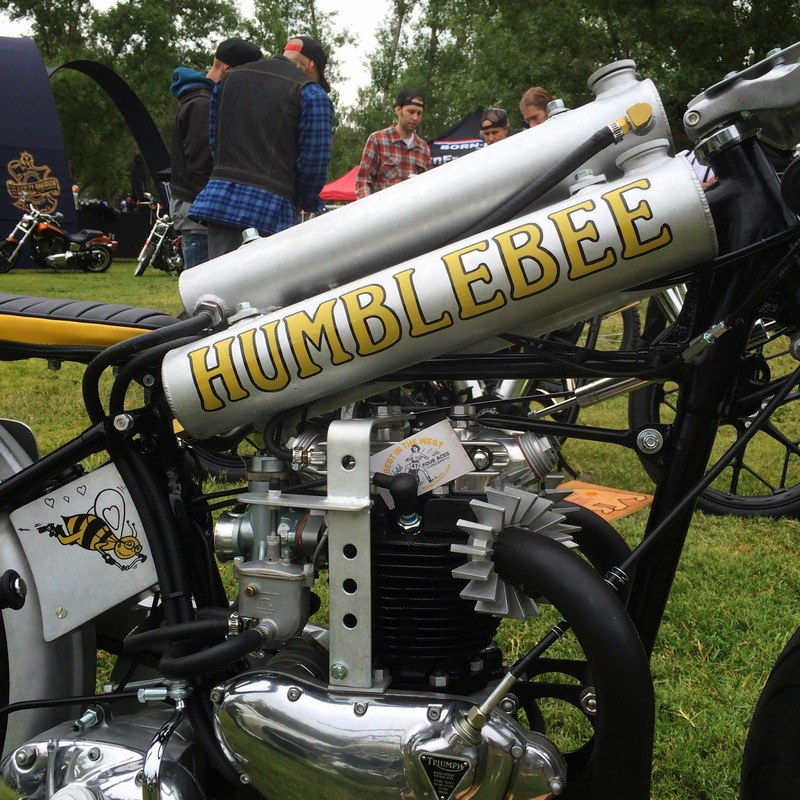 Though most of the bikes were vintage Harleys and choppers, there were plenty of European bikes, touring bikes, track racers and much more. 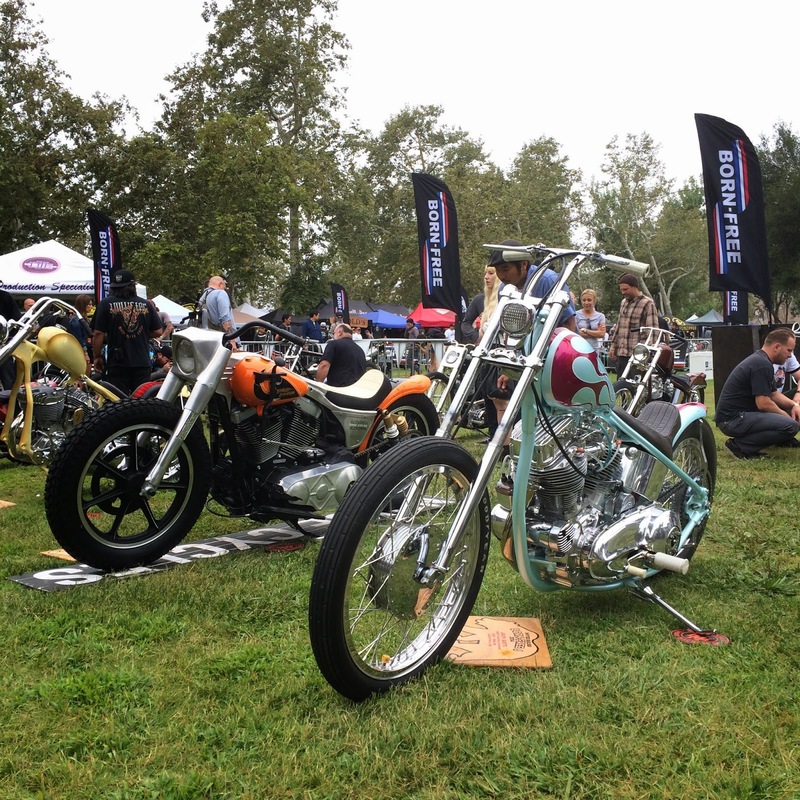 There were 1,000's of motorcycles covering the property on both days of the show. The invited builders pavilion was the main attraction of the weekend. 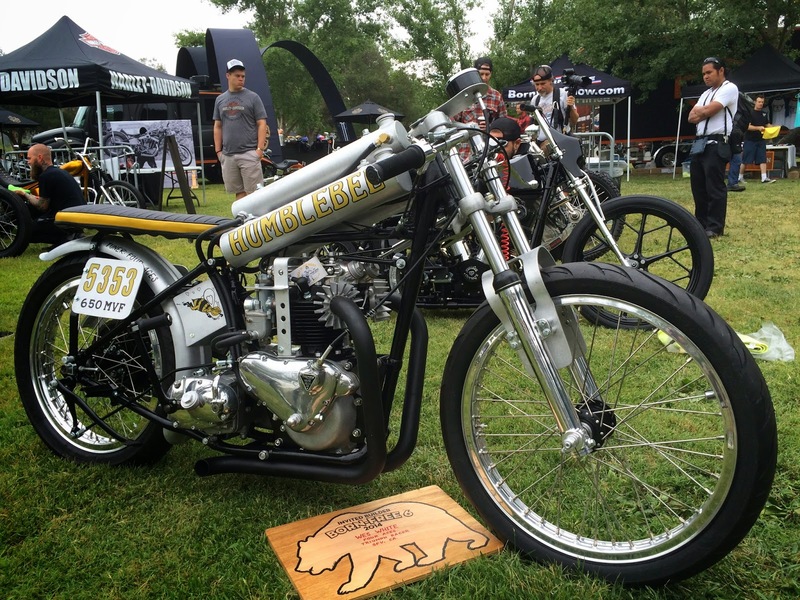 The 30 custom bikes commanded attention all weekend long. 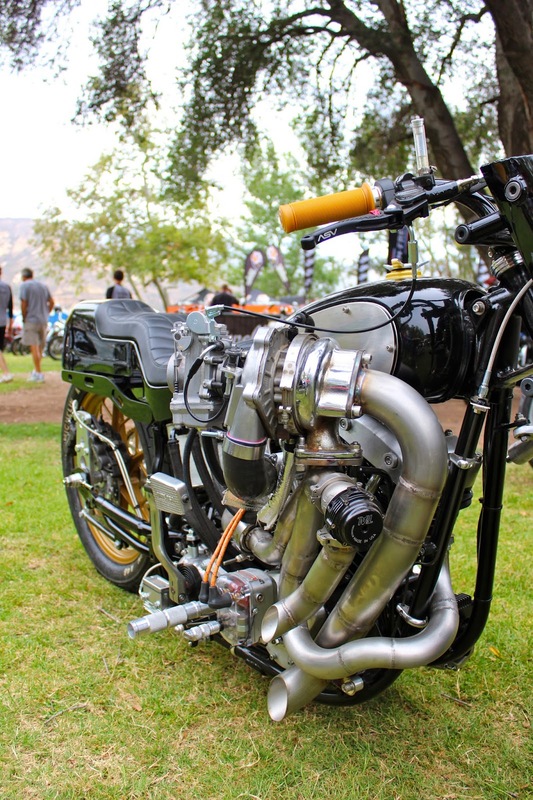 There were some incredible motorcycles on display. That is a lot of motorcycles. 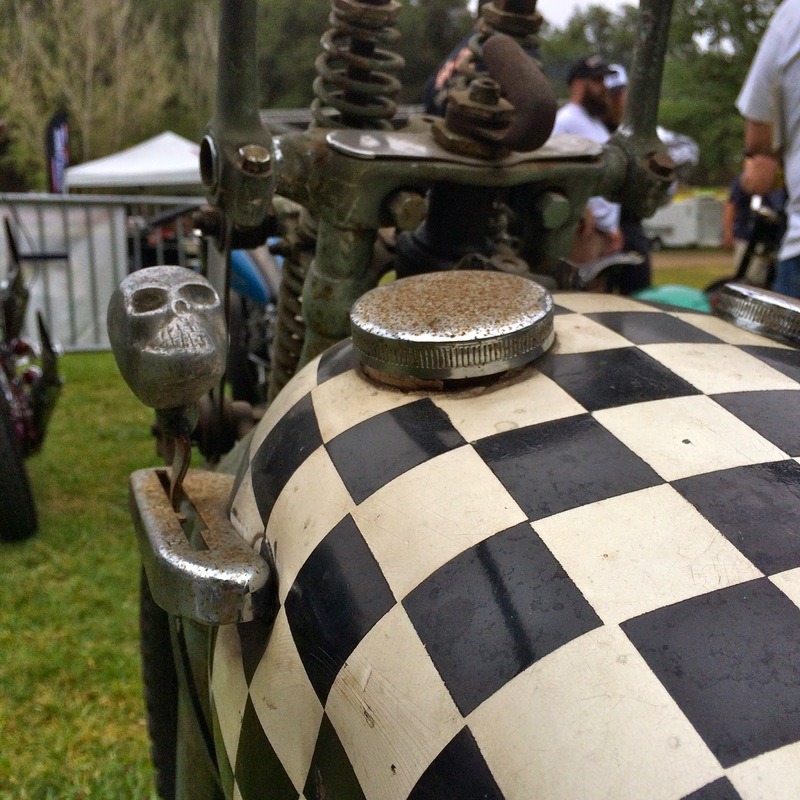 The midway was home to plenty of people checking out motorcycle related clothing and booths of the invited builders. Oak Canyon Ranch has plenty of trees and shade to relax and beat the heat. Many bikes were packed for a weekend on the road. 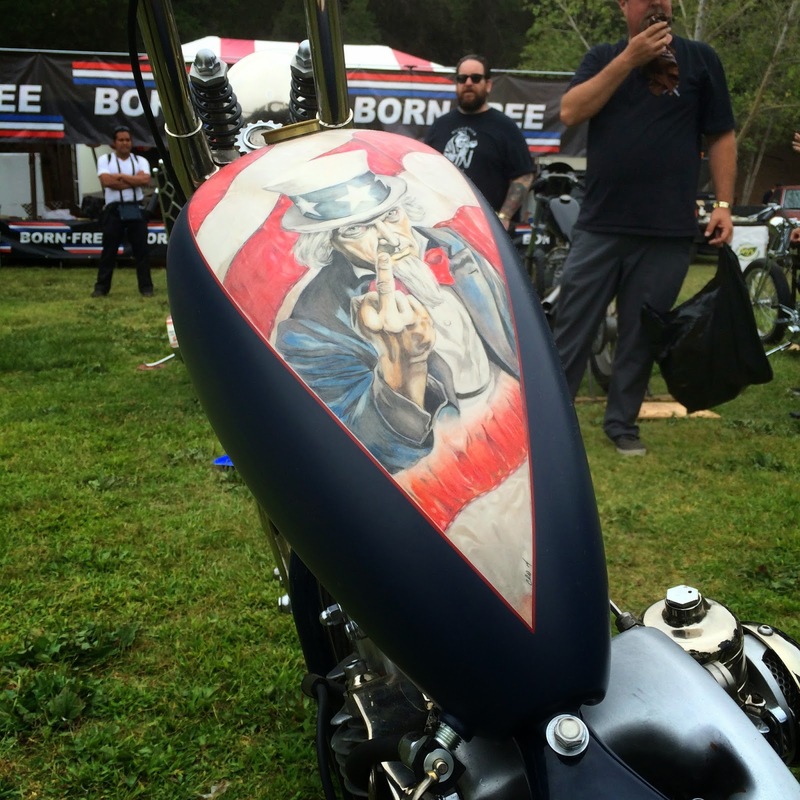 Many riders came to Born Free from all over the country. Black Gold & White Lightning. Vintage token from a brothel. 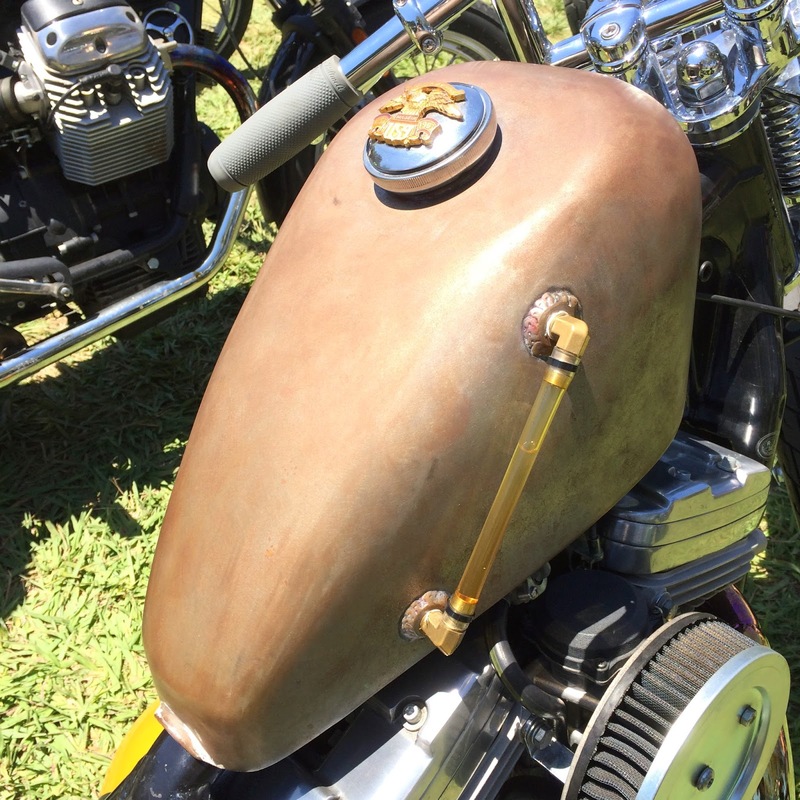 Just one of the many custom tanks on display. The show was two days, but the event was most crowded on Saturday afternoon. 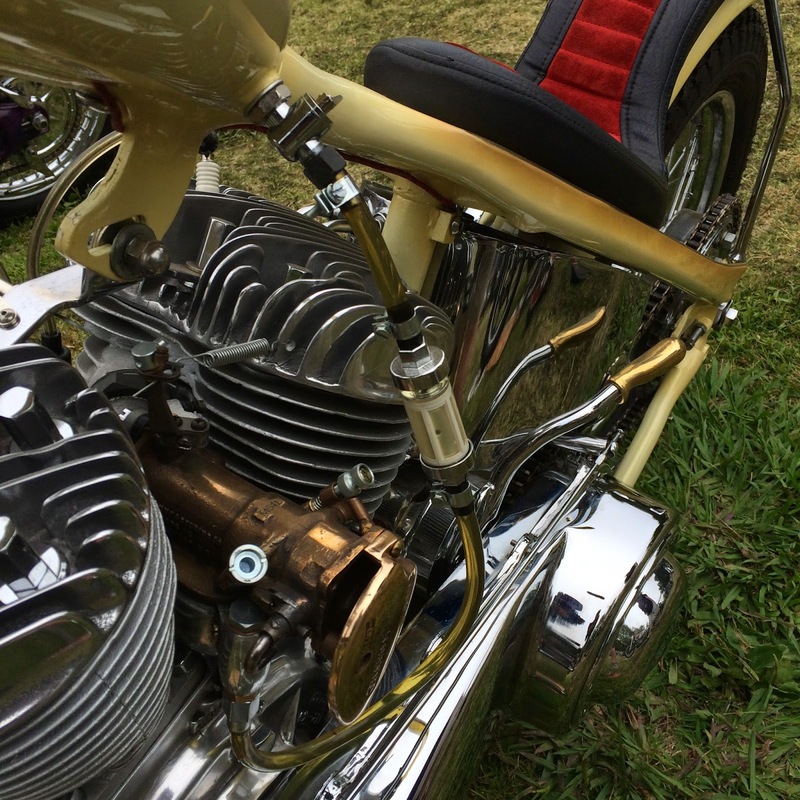 The venue was packed with two-wheeler all day on Saturday. 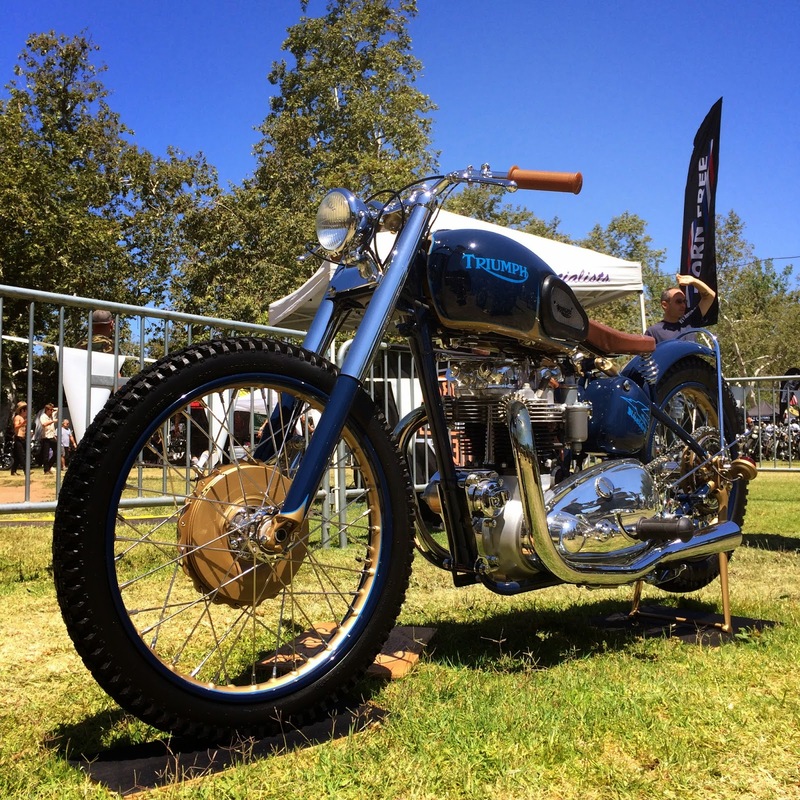 This Triumph was probably my favorite bike in the Builder's Pavilion. Clean and simple. Thank you to everyone at Born Free for the fun and hospitality. 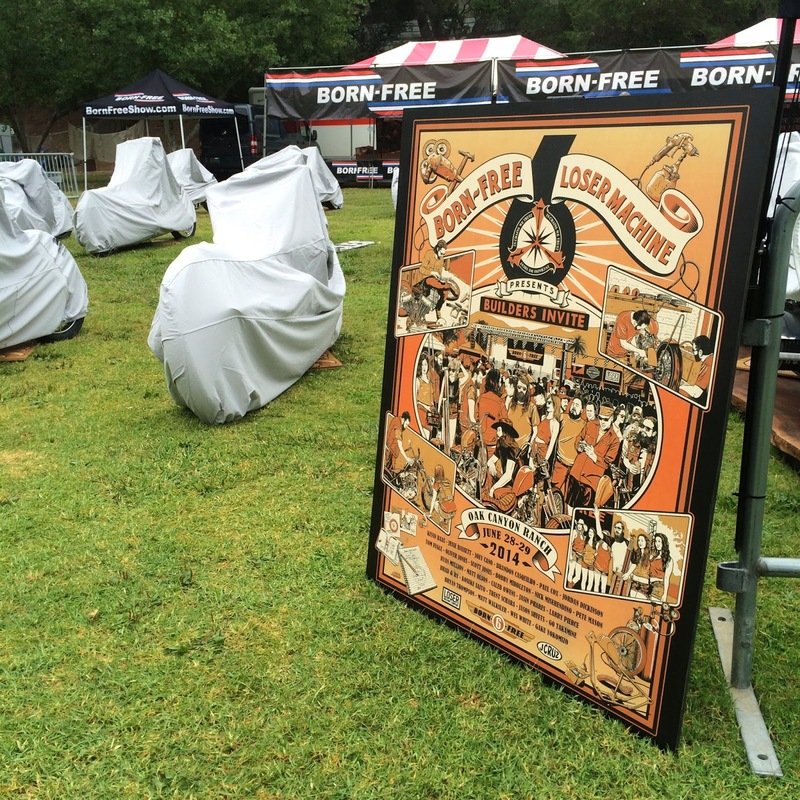 I am glad that California Car Cover could be part of Born Free 6. Check back next week for additional photos from our July California Car Cover catalog photo shoot and the upcoming Goodguys Columbus car show.